So come armed with cardboard, warm clothes, a sleeping bag or two, and a huge heart. 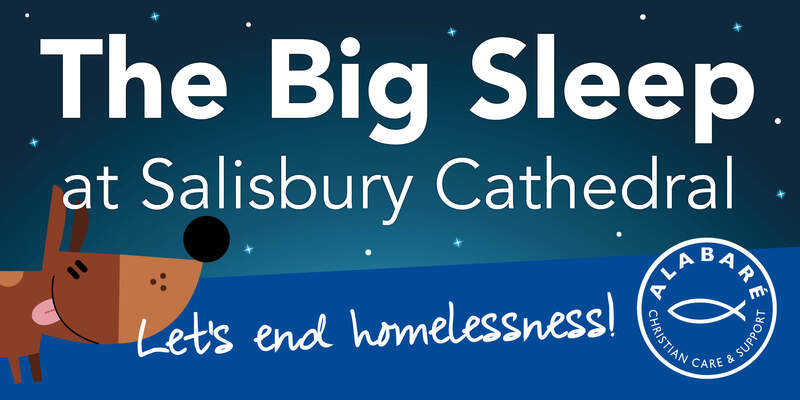 You will be challenged to sleep under the stars at Salisbury Cathedral Cloisters for one night. An impressive and humbling venue that gives a real sense of how blessed we are to be able to go back to a warm and dry home afterwards. We know many of the rough sleepers Alabaré helps have a priceless bond with their canine companions. So we are welcoming 20 well behaved dogs to join us once again this year. Once you have registered, a full fundraising and event pack will be sent to you. Thank you so much for helping us to end homelessness.